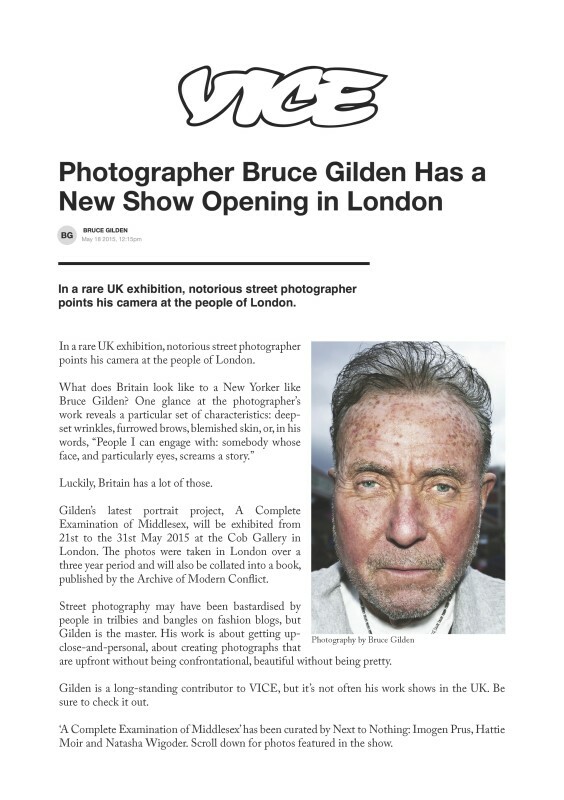 What does Britain look like to a New Yorker like Bruce Gilden? One glance at the photographer's work reveals a particular set of characteristics: deep-set wrinkles, furrowed brows, blemished skin, or, in his words, "People I can engage with: somebody whose face, and particularly eyes, screams a story." Luckily, Britain has a lot of those.